Obviously Marja and Henk's review of the base Atlantic DAC put it on my radar but I had been intrigued by LampizatOr's very positive praise for a while. 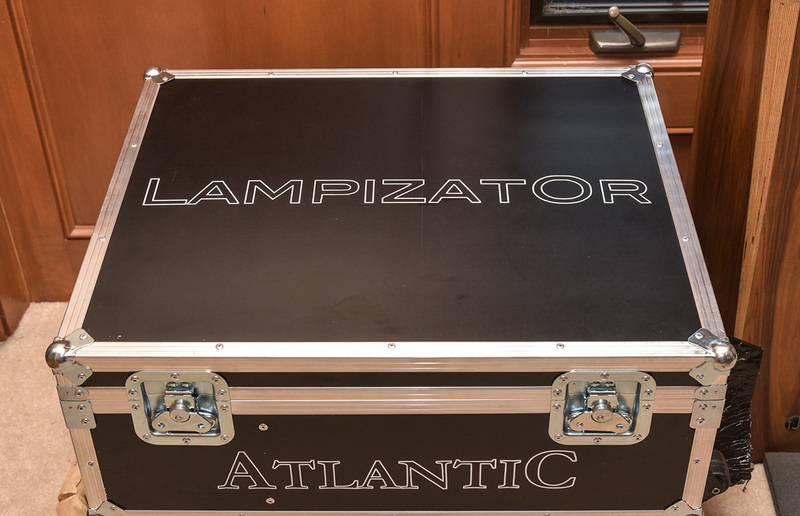 Since our write-up, the Atlantic line has evolved greatly, replacing many of LampizatOr's mid-level models and coalescing them into one line with greater customization flexibility. The Atlantic line is now available balanced or single-ended, with or without analog volume control and in three different performance levels, Atlantic, Atlantic plus and Golden Atlantic. A single-ended base Atlantic without volume control still goes for €4'000. Meanwhile a balanced Golden Atlantic with volume control will hit €11'000 and DSD512 compatibility requires another €1'000 regardless of model. From base to fully tweaked model, the digital data stream and processing are the same as Marja and Henk described in detail in their initial article. This speaks very highly to the quality of the core design as well as the impact which part choices beyond converter chips can have on the final sonic performance. 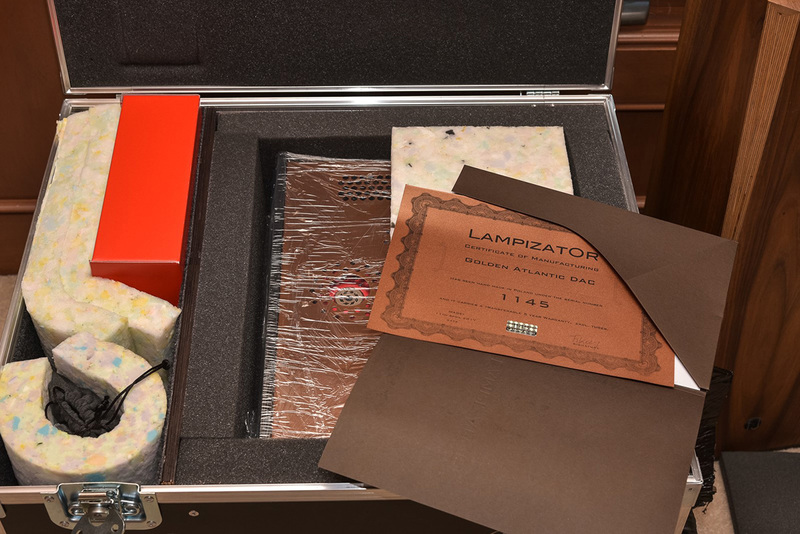 What the Atlantic line does not offer and which thus remains the distinctive trait of LampizatOr's dearest models like the Big7 and Golden Gate is the ability to tube roll all sorts of directly heated triodes in the output stage. The Atlantic's tube choice, a directly heated pentode, is fixed. Tube rolling is discouraged but beyond that, most of the flagship Golden Gate magic has found its way into the much cheaper Golden Atlantic. Not all the upgrades rolled into the GA have obvious sonic merit like the overbuilt flight case that replaces LampizatOr's usual double cardboard box. If you move as often as I do and want to preserve the value of a not inconsequential investment, the flight case is actually a pretty cheap insurance policy. One can argue whether a thicker enclosure and the use of copper instead of sheet metal is audible. I have no idea. The greater rigidity and better heat dissipation can't hurt and the GA does make a nice statement on top of my rack with its copper-red top and matching switch in the middle of a massive black faceplate. I know that sounds pretty frivolous but this is a hobby meant to be enjoyed. In my mind that includes gear one is proud to own and look at, even if it's not the first priority.